Brooks Koepka held off a charging Tiger Woods to claim the 100th US PGA by two shots as Shane Lowry was left to rue a costly finish to a sensational final day at Bellerive Country Club. Woods fired a six-under 64 to finish second on 14-under par, setting St Louis alight with a vintage performance that must surely make him a certainty to earn one of Jim Furyk’s Ryder Cup wildcards. His quest for a 15th major came undone right at the death when he hit a wild drive at the 17th in the "native area" right of the hazard and could only make par when a birdie was imperative. In typical Woods fashion, he buried a 20 footer for birdie at the 18th and ended up snatching second from Adam Scott, who bogeyed the last for a 67 to finish third on 13 under. Woods' 64 was his lowest ever closing round in a major and he took his hat off to big-hitting Koepka, who held his nerve after following a birdie at the first with bogeys at the fourth and fifth by playing his final 12 holes in five-under to post a 66 to win on 16-under par. “It’s tough to beat when the guy hits it 340 down the middle, that's tough,” said Woods, who shot 32 on the front nine despite missing every fairway. “What he did at Shinnecock, just bombing it, and then he's doing the same thing here. When a guy's doing that and hitting it straight and as good a putter as he is, it's tough to beat." 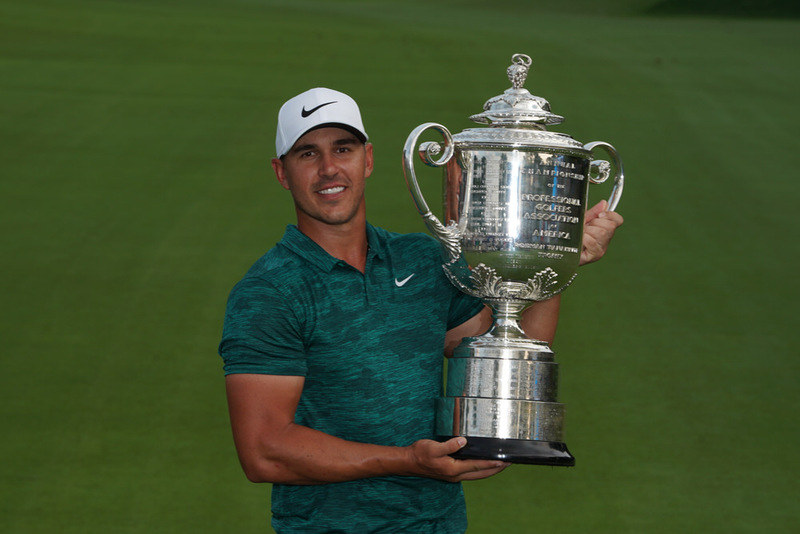 After winning back to back US Opens in June, Koepka became the just the fifth man to win the US Open and the PGA in the same year and the first to win three majors in six starts since Padraig Harrington ten years ago. “To go from not even knowing if I was going to play again, it’s mind-boggling,” said Koepka, who missed the first four months of the season with a wrist injury. “For some reason, the majors just get my attention." Lowry was left to wonder what might have been as late bogeys at the 16th and 17th saw him card a level par 70 and finish eight strokes behind in a seven-way tie for 12th on eight under with the likes of Jordan Spieth and Rickie Fowler. It was a fraught finish for the Offaly man, who holed two massive birdie putts — from 24 feet at the 12th and 53 feet at the 13th — to move up to tied sixth, four behind the US Open champion. He still felt he could make a charge for the title with a big finish but he missed from 15 feet at the 15th and then did well to bogey the 16th after a lengthy ruling went against him despite calling for a second opinion from another referee. "I’m very disappointed obviously because I had a great chance," said Lowry, who hit a three wood into the hazard at the par-five 17th to drop another crucial shot. "I even felt I had a chance to win coming down the last few holes, and I hit that shot into 15. I was playing so nice. I'm very disappointed I didn’t finish better. 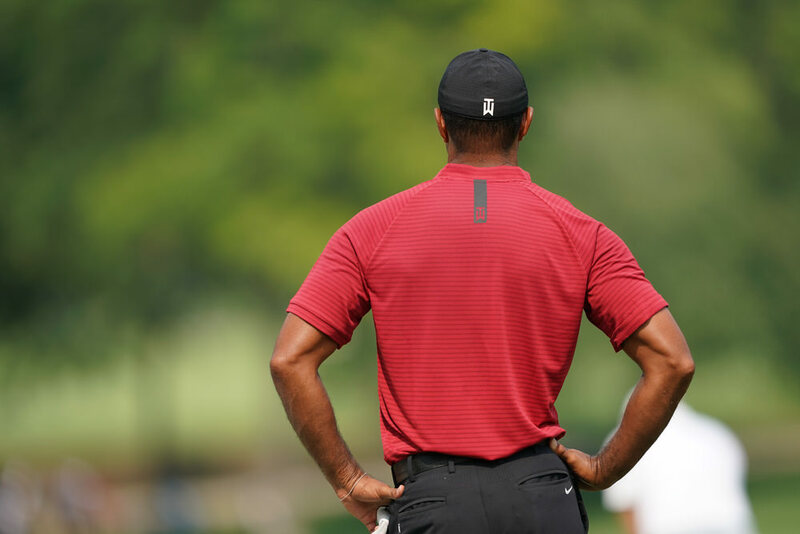 "On 11 when they added a birdie onto Tiger's score the crowd went mental around the green, it was just like, this is what it's like to be out on Sundays with Tiger and these guys in a major. “But look, it's ifs and buts. I hit two bad shots coming in and they were very costly for me. "I just got a bit complacent with my second shot on 17 and it was almost too easy. I had a perfect number and I have been hitting my three wood unbelievably well all week and I just hit a bad shot. "Even if I make birdie there and give myself a chance on the last. That's three weekends in a row right up there, back where I feel I belong." 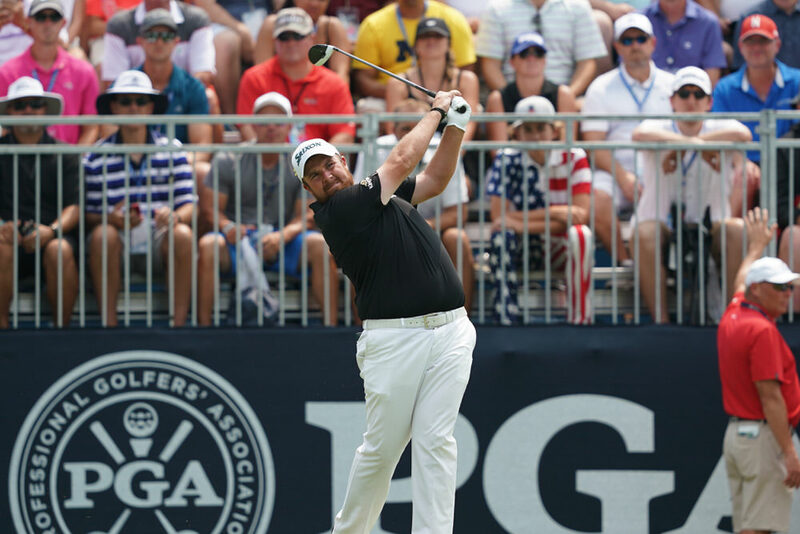 Lowry was projected to move up 17 spots to 139th in the FedEx Cup standings and he's feeling good, despite the possibility of a US PGA hangover, about his bid to make the top 125 who keep their PGA Tour cards after the Wyndham Championship this week. But he was bitterly disappointed he didn't get full relief from TV towers on the 16th yet still and ended up making an excellent bogey from seven feet and opting not to bother pleading with the officials any more, chipping up just short of the green. "I think the referee didn’t have the balls to make a decision there and if he did I would have had an easier shot," Lowry said of the decision not to grant him relief again after his initial drop would have left him blocked out by another camera tower. "If you put John Paramor or any of the good referees out there and he would have given me full relief. But he wasn’t giving me full relief, he was telling me to drop it in the tree basically. "It took so long I felt I was getting in Justin’s way — he ended up making bogey as well. Two referees and neither had the balls. "So I said, do you know what? I am just going to play. I didn't want to wait around any longer. It happened. It is not the end of the world." Justin Thomas backed Lowry up completely in his view of the incident. “It had nothing to do with Shane,,” Thomas said of his own bogey there. “The rules officials were having a hard time coming up with a ruling. They were kind of looking at each other and saying, well, what do we do and Shane's like, look, just tell me if I get a drop or not. Lowry got off to a dream start, rolling in a 15 footer for a birdie at the first to get to within three of Koepka on nine-under. While he bogeyed the fifth and then followed a birdie at the ninth with a three-putt at the 10th before fighting back. It came undone at the end but like Koepka and Woods, it was still a day he will never forget.